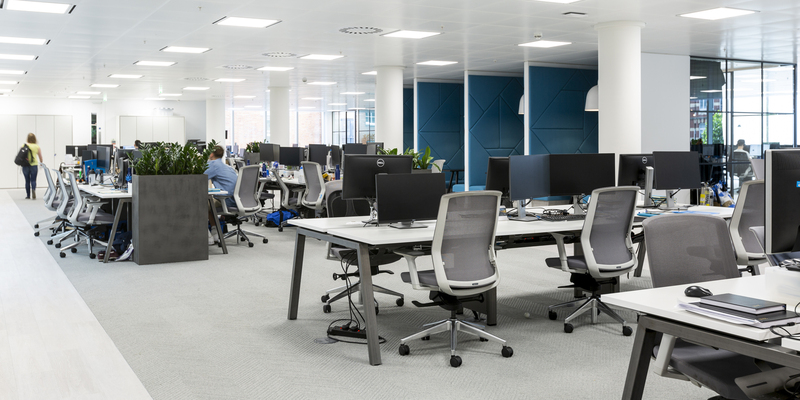 Carwow’s significant growth in the past year has led to them acquiring new premises having outgrown their first office, despite taking another floor in the building. 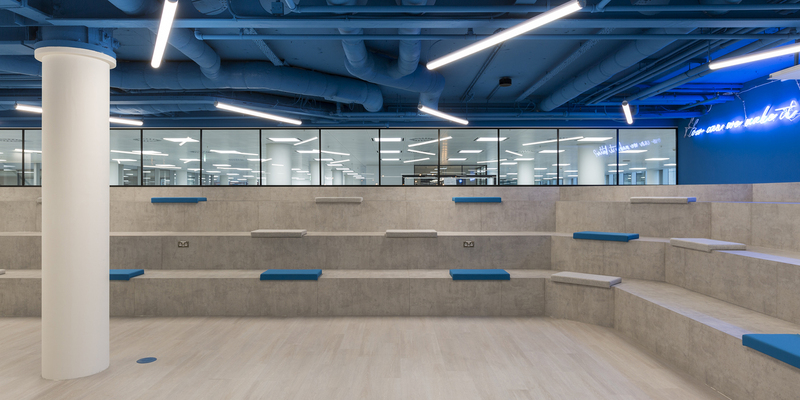 As ThirdWay designed and delivered both of their previous spaces, we are a trusted partner and Carwow approached us again for the design and build of their third workplace evolution. 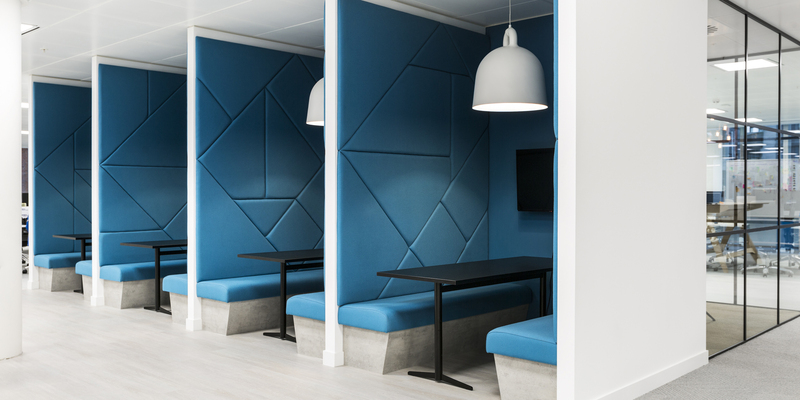 They wanted to combine the simplicity and serenity of Scandinavian design with the vibrancy of a modern tech company; a professional working environment with a creative twist. 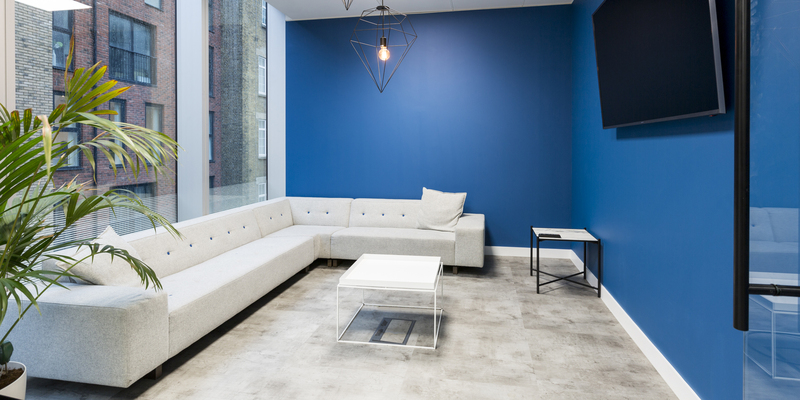 As such the basis of our design includes muted greys, pale timber, clean lines and natural textures with fresh white walls and ceiling throughout the main office space. 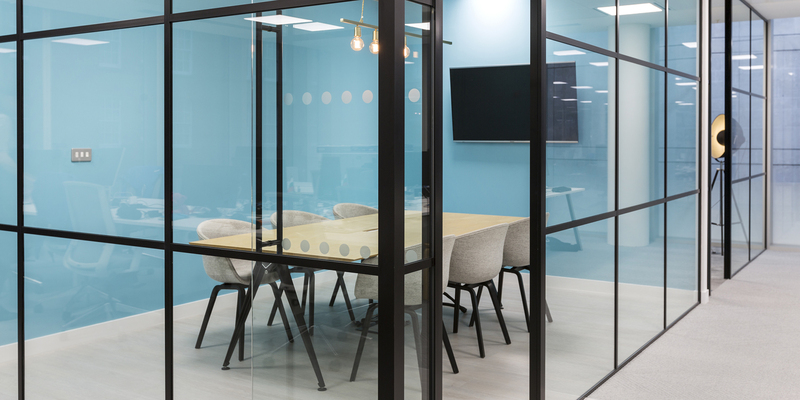 Meeting rooms and agile working areas are lifted with pops of blue inspired by the car sales company’s brand identity. 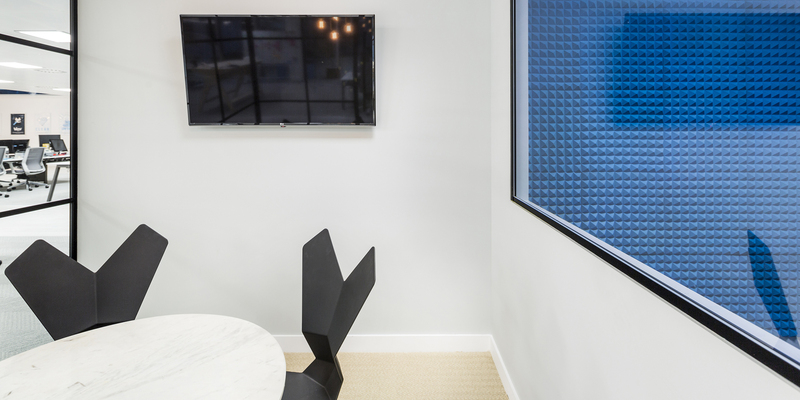 The wow factor is the ‘Carwow blue’ ceiling where all exposed ductwork has been painted in the same colour. 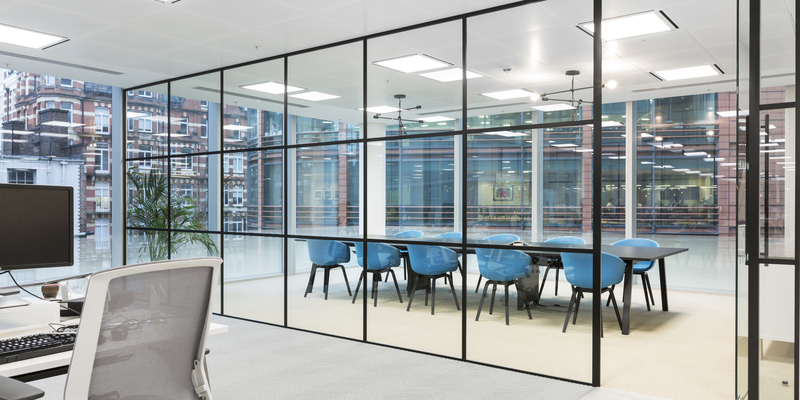 This creates a striking talking point in the front of house area – a large space that is not only a reception but also a company meeting room, collaboration zone and event space. 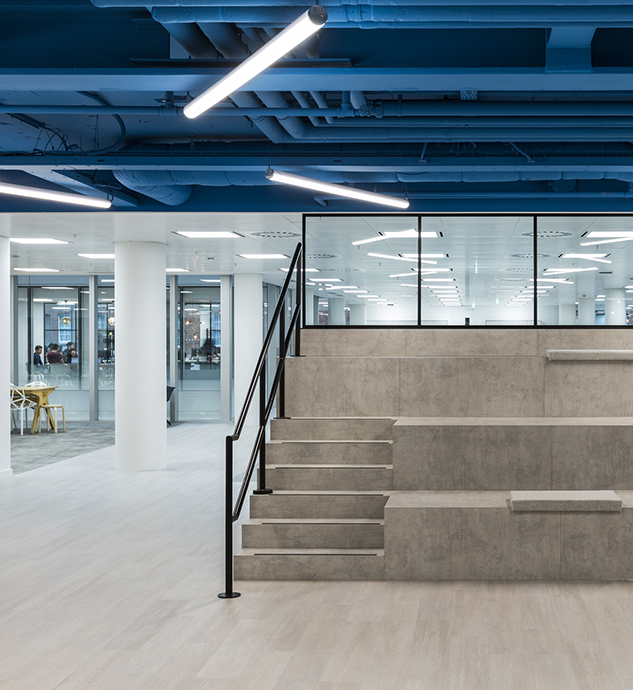 A tight deadline meant that we only had four weeks to develop and cost the entire design package and seven weeks to complete the build. 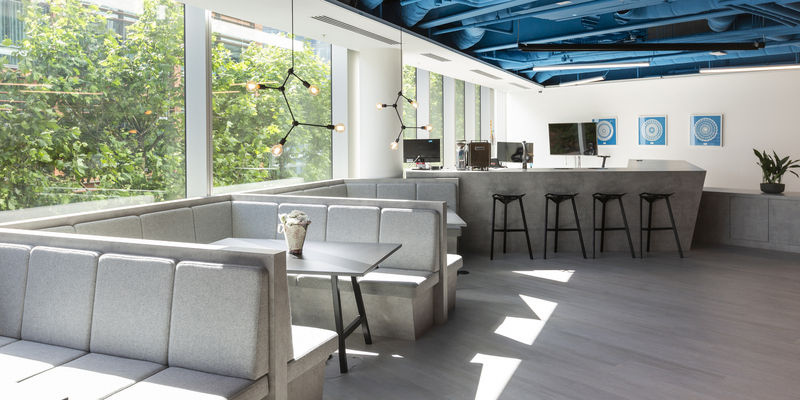 Key features: Exposed ceiling sprayed in brand colour, large bleacher to front of house space, textured carpets, acoustic booths and an acoustic studio, large kitchen/gaming area.